Last weekend was Bristol Balloon Fiesta and the skies over the city filled with brightly coloured, oddly shaped inflated aerial contraptions. 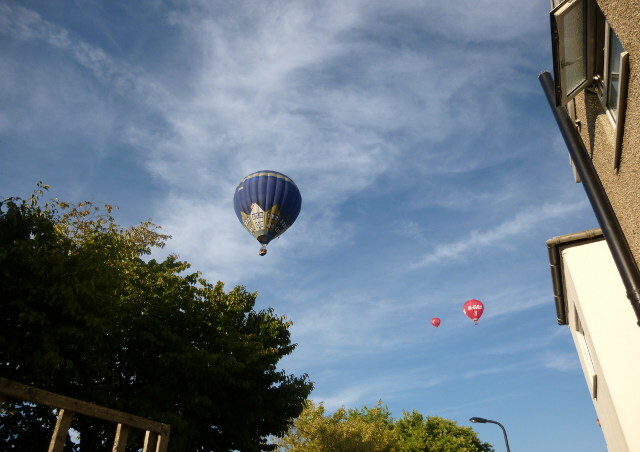 It fills the hearts of Bristolians with delight, but for this week’s writing prompt I invite you to write a piece about hot air balloons from the point of view of someone who’s never seen one before. What might they thing as the lurid swollen shapes swoop towards them, and when they hear the gas burners’ roar?